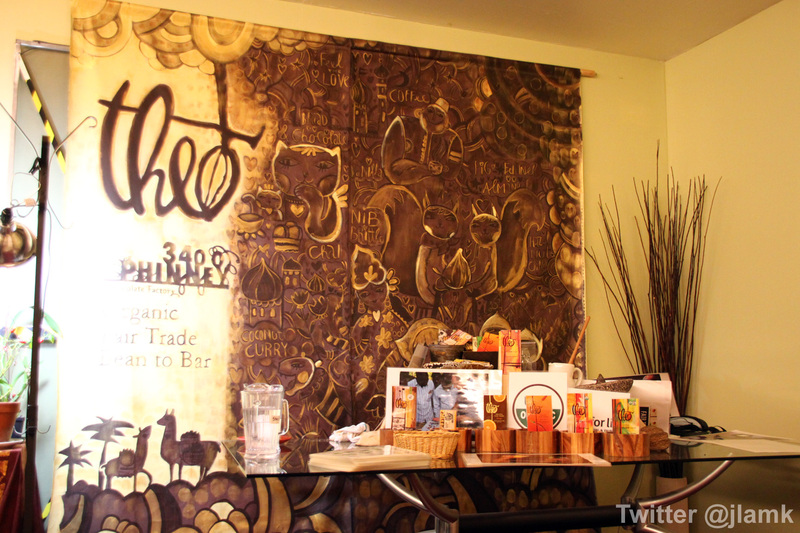 While visiting Seattle on the Thanksgiving long weekend, I took the opportunity to visit Theo Chocolate. 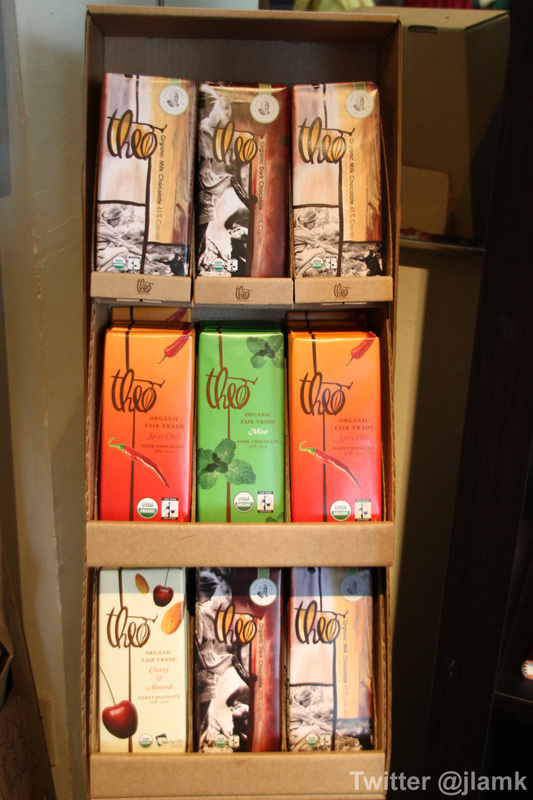 Theo is one of the dozen bean-to-chocolate factories in the United States and the first and only organic and Fair Trade factory in the country. A huge chocolate lover that I am, I was really excited to take the factory tour. As soon as I arrived, I saw a big crowd walking around inside the retail store. 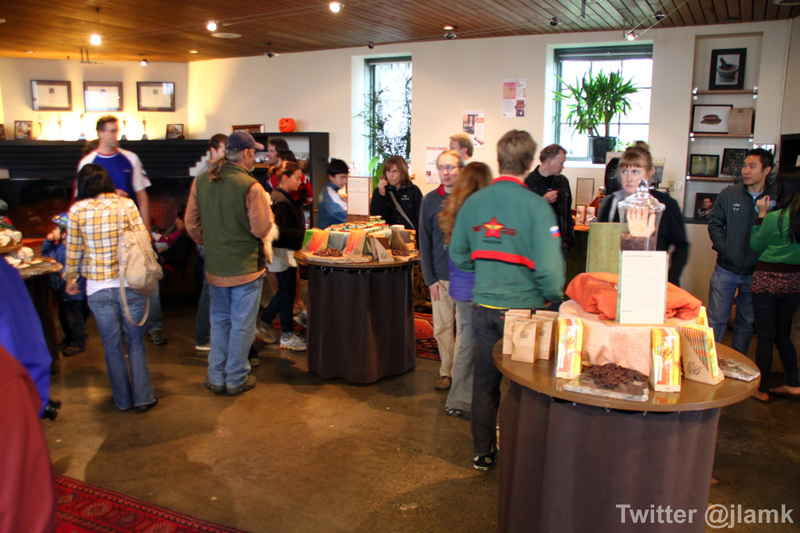 You don’t usually see this many people at a chocolate retail store! Some were waiting for the tour to start; some just finished their tour and were picking out chocolate to take home; and some were simply here to buy some treats. 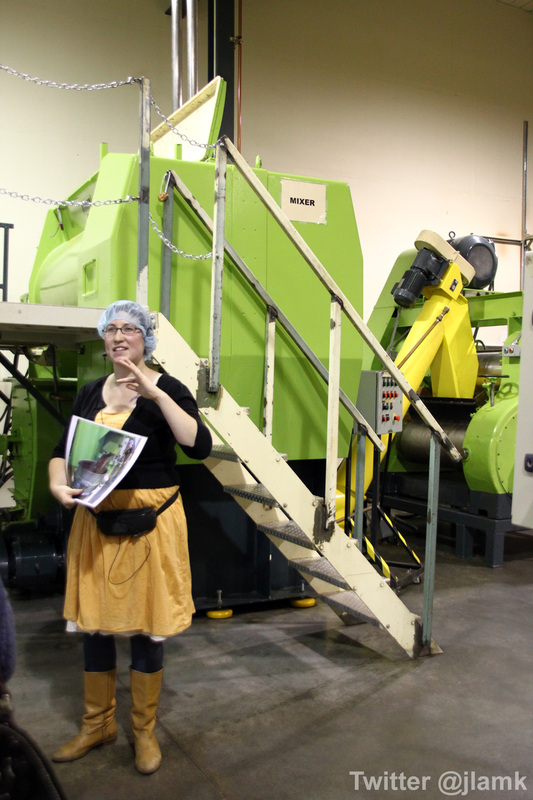 The tour was just a bit over an hour long and it includes the history of Theo Chocolate, background info about chocolate production, a walk through the factory and introduction to the various machines, and of course, lots of chocolates to taste. My original idea was to explain the whole chocolate production process (I documented all the info I needed for it! ), but hey, that’s what the tour is about and I think you should go and see it for yourself. So I’m just going to show you some highlights. 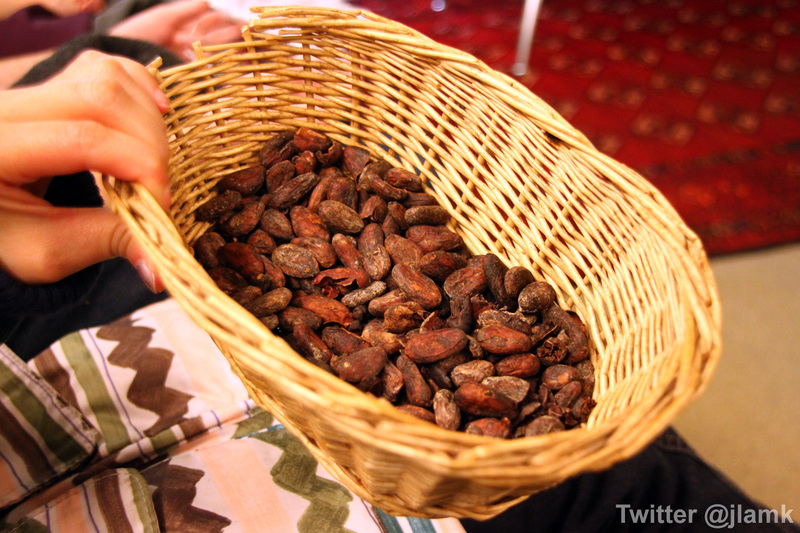 Did you know this is what cacao beans look originally? This is a photo shown to us during the tour and I cannot believe it’s slimey like this. 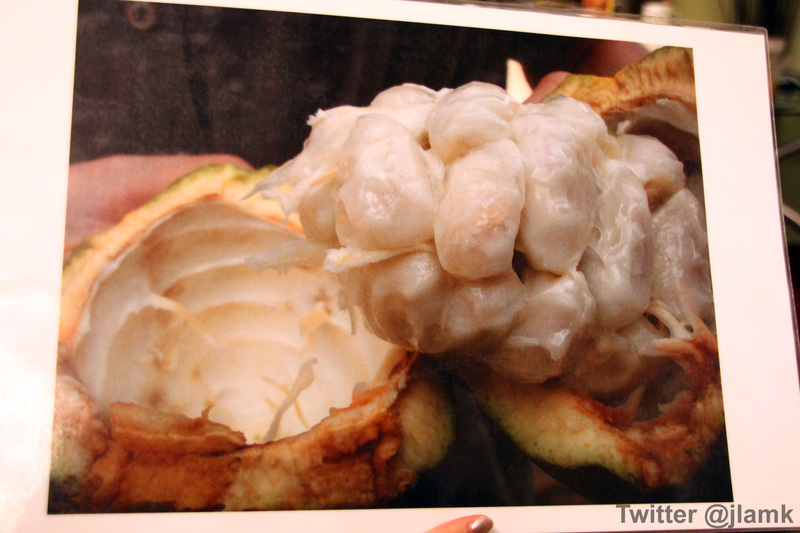 It also reminds me of the Mangosteen fruit. And this is what they look like roasted. We were given nibs of these roasted beans to try, 100% cacao with no sugar added, and let me tell you, it’s VERY bitter. We tried 5-6 kinds of chocolate bars and one chocolate ganache. The great part about this chocolate production is that they oversee every step of the process and products are hand-crafted. It’s not one of those cookie-cutter productions that you’d imagine in a factory. 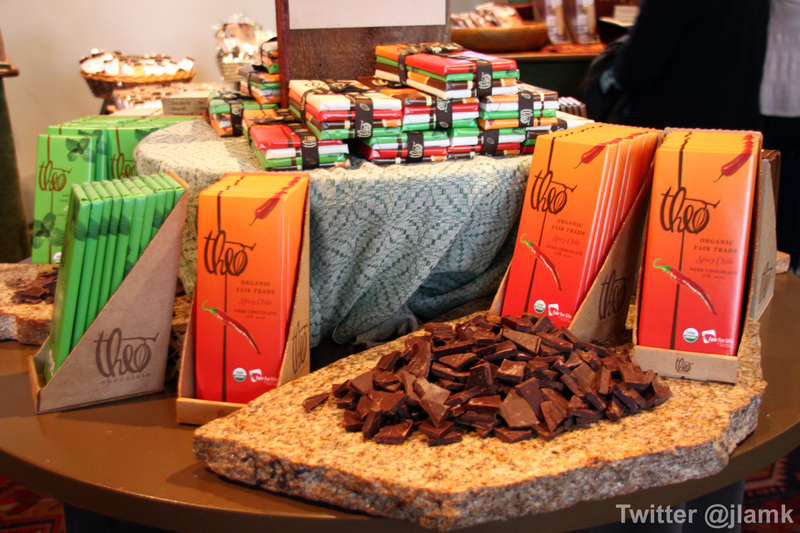 And after the tour, we returned to the retail store and shopped for chocolates to take home. And if we didn’t have enough chocolate? There’s plenty to taste at the store front!! I tried every kind available and bought a whole bunch to bring back home for family, co-workers and Mr. They are very innovative in terms of combination of flavours; they produce some interesting chocolate such as “Coconut Curry” and “Fig, Fennel & Almonds”. My recommendations include: 70% Dark, Spicy Chile (if you can take a bit of heat), Bread & Chocolate and the Mint chocolate ganache (a must try!!). 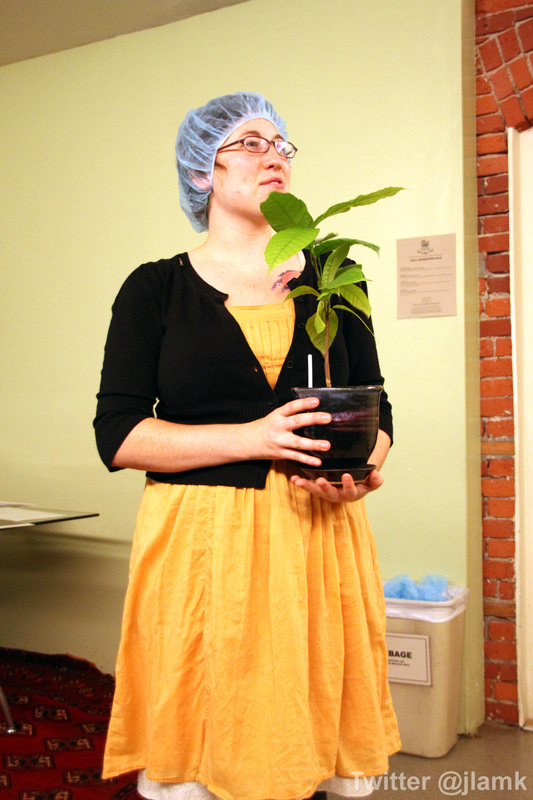 The tour costs $6 per person and in my opinion, it’s a great deal to learn about chocolate production. It just makes me appreciate the craft even more. Go check it out! 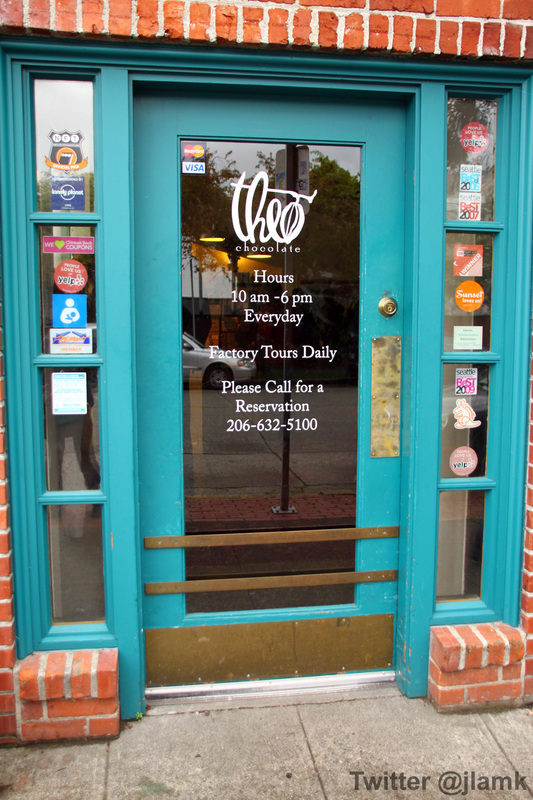 The cool thing about Theo is that they run tours 7 days a week, except for Thanksgiving (U.S.), Christmas and New Year’s Day. All you need to do is to book ahead to secure your spot. Lastly, do not play the “I know Theo” card. He doesn’t exist.